A deficient cheek structure can make your face appear drawn and gaunt. Many attractive people have strong cheek bones and a softened appearance due to adequate soft tissue in this area. Prominent, full cheeks give us a youthful, healthy appearance. 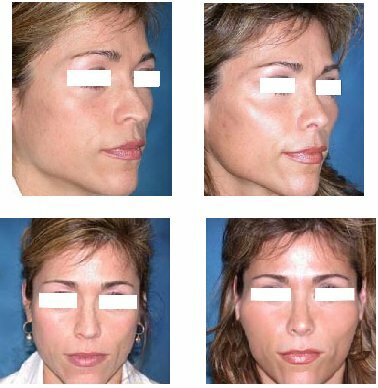 Chin and cheek implants are among the most common facial implants available to patients seeking a more enhanced facial appearance or for reconstruction purposes. To give fullness to flat cheek bones and prominence to a weak chin, a well placed implant will help, and can make an immediate and dramatic impact on your facial appearance as well as your confidence. · To look more attractive by making more prominent your cheekbones. · To assist in providing a more youthful appearance to an aging face. · To give your face the chance to look harmonious and perfect. There are many ways to perform cheek implantation. The method must be tailored to the individual patient needs. There are 3 different types of implants, which come in a variety of sizes so that each patient can receive a customized fit. 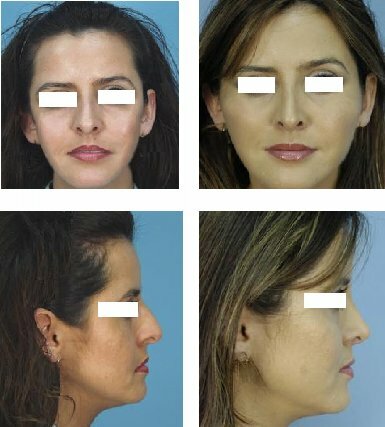 Cheek implants (malar): These are placed directly on the cheek bones to increase prominence or give high cheek bones. Below the cheek (submalar): These are placed just under the cheek bone to correct a hollow, or sunken in, appearance and to create more fullness. Combined (malar/submalar): These implants go over and below the cheek bone to increase prominence and to correct hollowness under the cheek at the same time. According to the kind of implants used, they can be attached to the bone with screws, to the muscle with sutures or simply remain in their place by internal pressure of the pocket. Cheek implants are made of medical grade solid silicone. They are usually placed through incisions in the mouth so there are no visible scars from this procedure. Local and sedation or general. It takes one to two weeks. Most people are back to work within a week or two, you will feel temporary stinging or burning sensation. 3 days after the surgery. The swelling may last two weeks approximately. The definite results will be fully appreciated after two months.